Popcorns are perhaps the most admired snacks that people love to munch on while watching a movie in a multiplex or viewing TV programs at home. However, do you think you can offer the same popcorns to your household pets? It could be a dog, cat or even a hamster. 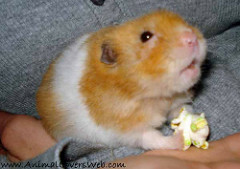 Hence, you might start wondering that could hamsters eat popcorn? The simple reply to the above question would be in the affirmative but then again the question arises as to how much or what quantity of popcorn you can offer your pet. Additionally, you’d also be keen to know whether you’d be able to feed the same popcorn that you take in movie theaters. To answer these questions satisfactorily without fudging facts, you’d first have to decide if you’re willing to experiment with your pet’s regular diet. To be specific, would you be ready to introduce a new food item to their daily routine diet? If you’re willing to, you should do well to keep in mind that you should strictly avoid offering salty popcorn that has been roasted in butter oil. Only offer popcorn that has been roasted in a microwave at home and that too without any additives. Also, offer a limited or small quantity of popcorns keeping his health in mind. Feeding him excess popcorns can tend to make him obese which in turn might lead to other health issues. How Should You Go About Offering Popcorns? Like most other processed foods or snacking items, make it a point to offer popcorns as a savory treat. 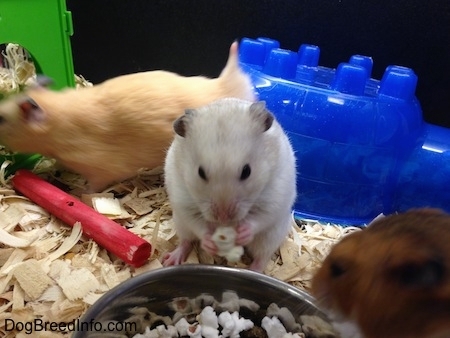 You’ll need to establish whether your hamster has a weakness for popcorns in the first place. So, when you offer popcorns initially make sure you give about one or two corn fluffs to check out whether he likes these. In case he takes a liking for the fried and puffed maize corns, then chances are that he may want to have them every time you’ve popcorns on your hand. Now, that should not be an excuse to offer him popcorns every now and then. See to it that you include popcorns in his diet only once in a while. How healthy are Popcorns for Your Hamster? As mentioned earlier, giving your furry mate, salted and buttered popcorns may not adversely affect his health but there is a high possibility of his becoming obese. So, it is best if you purchase raw maize corns from the market or plain popcorn and put them in the microwave for popping these up. Not only will your hamster like to munch on popcorns if you give it to him in plain but at the same time, his health will not get affected in any way. 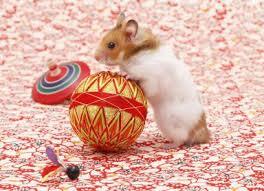 You should make the most out of the fact that hamsters love to taste a wide variety of foods. If you want to take good care of your hamster you should ensure that the food items you offer will be able to fulfill his daily nutritional needs without jeopardizing his health. So in this context, you can always give popcorns to your petite furry friend but never overfeed him.